Spurs against Liverpool on the 15th September was supposed to be a historic day for Tottenham Hotspur Football Club. However, much excitement, anticipation, and trepidation have had to be put on hold as Tottenham issued an apology after announcing delays in the building of the new stadium has meant the club has had to revert to Wembley again to host the Premier League clashes against Liverpool and Cardiff. Although the club has not confirmed where the encounter against champions Manchester City will take place, the aim is to ensure it will be the first at the new stadium as the match will no doubt attract the globes attention with the opponent an undeniably A-lister. Safety concerns have been the reason cited and it is hard to argue or complain when that is the case but it has proved costly to the Lilywhites. The stadium delay has led the club to refund fans who had acquired tickets for both the Liverpool and Cardiff matches and also the NFL game between the Seattle Seahawks and the Oakland Raiders on the 14th October has also been moved to Wembley costing Tottenham millions. There is another issue of course, how this will affect the betting on UK sites on all Tottenham games going forward also remains to be seen as such an occasion as a new stadium may have an influencing factor on the outcome of a game and an entire campaign and time to settle in must be factored. 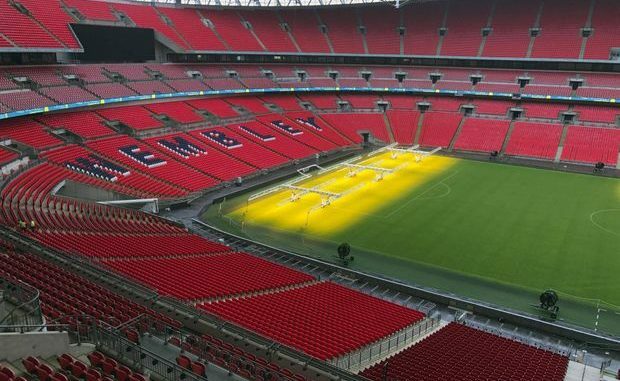 Take Tottenham’s temporary move into Wembley as an example, up until the beginning of last season, Spurs had played ten times at the new Wembley and lost six times and recorded just one win with many calling Spurs ‘jinxed’ by the national stadium. However, it was not just Tottenham who felt ‘cursed’ by Wembley in the Champions League, bitter rivals Arsenal struck a deal to play their Champions League home games at the national stadium for two seasons (1998 – 2000) and much like Spurs in their first season of Champions League Wembley home games, failed to progress through the group stages with Arsene Wenger admitting afterwards that it was a mistake to move to Wembley. Of course, qualification once again for the Champions League for this season firmly put that jinx to bed for Spurs but few can argue that a new home can cause a few issues as Spurs found out. However, it is possible that the opposite can occur, and a new stadium can be turned into an immediate fortress. Just take Atletico’s Wanda Metropolitano Stadium as the perfect example of what Spurs will be hoping to achieve. The 2013/14 Spanish league champions moved into their new home at the beginning of last season and have remarkably only ever lost one home league game at their new home (2-0 loss to Espanyol in the penultimate game of the season). Tottenham will be aiming to replicate the example set by their Spanish counterparts as big changes are coming, just a little later than first planned.